This episode has epic ’90s computer matte compositing of a balcony, set to a particularly stirring Christopher Franke score! 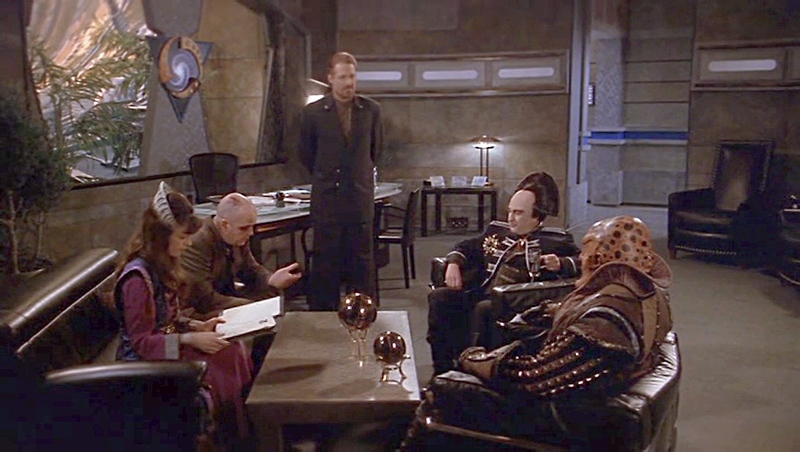 Oh, and Garibaldi does the secret agent thing, hamstrung by his return to the bottle; G’Kar becomes the Narn Pope; Franklin gets a job offer (name-checking a character not mentioned in 99 episodes), and Londo inadvertently fingers his own government. Just another ordinary day in the life of Babylon 5–in our 100th episode!